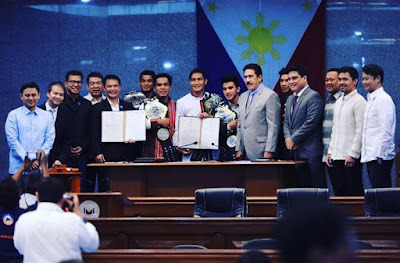 Cordillera - Members of the Team Lakay are now the talk of the town and earlier paid a visit to the Philippine Senate and spend time with some of the senators. In a photo shared by ONE World Lightweight Champion Eduard Folayang, he and ONE Bantamweight Champion Kevin Belingon, ONE Flyweight Champion Geji Eustaquio, ONE Strawweight Champion Joshua Pacio, Brave Combat Federation Champion Stephen Loman and Coach Mark Sangiao posed a photo with the senators. 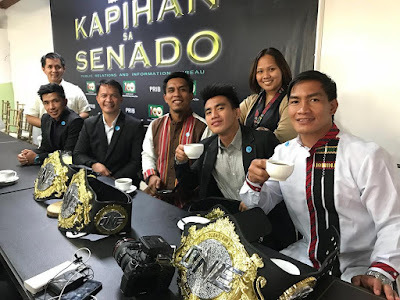 With their individual ONE Belt hanging on their shoulders, the Cordilleran warriors proudly joined the senators in a photo shoot headed by Senate President Sotto along with Eight Division World Champion Manny Pacquiao, Migz Zubiri, former Senate president Pimentel and others. Team Lakay Champions also posed with their cup of coffee at the senate house. Last December 2, the city government of Baguio organized a "Parade of Champions" to honor Team Lakay dedication to the sport. WOW GOOD JOB SIR. 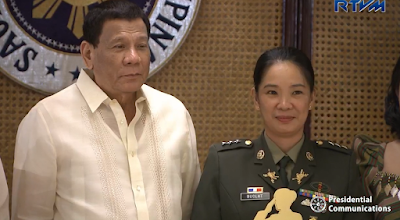 Congratulations po.PROUD TO BE A IGOROT TRIBE.